QSL requests from this page will be processed by the QSL manager (Tim Beaumont, MØURX) soon after the expedition, and your cards will be mailed directly to you.We HIGHLY encourage you to use this option for all VKØEK QSL requests. The cost per QSL card request is US$5.00, regardless of the number of QSOs. However, each separate request you make will incur the same charge. This means that if you log 3 QSOs early in the expedition and check out and pay for those 3 QSO’s, you will pay $5. If you then log 2 additional QSOs and make a second QSL order, you will be charged the $5 again. Thus, you may wish to wait until you are have finished making all your QSO’s with VKØEK to place your QSL request! The charge for this is also US$5.00, regardless of the number of QSOs you want confirmed. The fee must be enclosed with the request, and a Self Addressed Envelope (SAE) must be provided. Sorry, postage stamps IRCs & coins are not acceptable for the fee. The VKØEK DXpedition will provide QSL confirmation of all valid QSOs with VKØEK. The QSL manager is Tim Beaumont MØURX. He is empowered to resolve disputes, and his decision, reached together with the Radio Team Leader and the Expedition Leader, will be final. Thanks for doing such a great job guys, well organized and good ops. I needed Heard island to complete my “Worked all VK Call areas” certificate claim, as I missed the last expedition to Heard in the 90’s so after such a long wait I can stake my claim. Who needs to paint the shack when you can wallpaper it, hi. Thanks again, be safe & God bless. Great show from (really) down under! We are working on enabling Bureau Orders. Please QRX. As a reminder, bureau cards will be processed last. How works the Express QSL Service for Early Donors ? Got no QSL till now. Have I to order it anywhere ? The instructions for getting bureau cards is very vague. I would like a card via the bureau, but there is no WORKABLE option. What is going on? Please contact the QSL Manager. I went to the site of the manager and ordered the bureau cards yesterday. As an earlier donor am I still expected to pay for QSLs? I appreciate the quick confirmation via LOTW but I would like cards as well. The Instant LOTW was for early donors. The price of the QSL for everyone is $5.00. 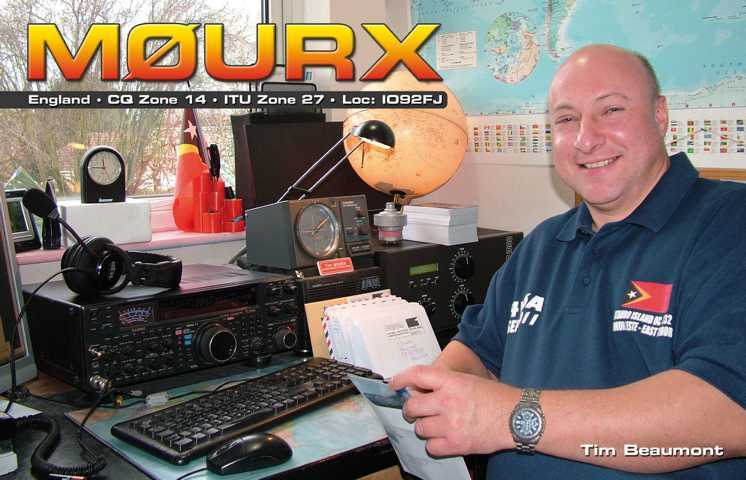 Please contact Tim, M0URX for any QSL related questions.